The collaboration—Cambridge Satchel Co.’s first non-leather product—has received praise from no less than People for the Ethical Treatment of Animals, which looks forward to a “new era of stylish vegan offerings” from the bag-maker. “This release is the latest in a surge of exciting developments in vegan fashion,” wrote Ruby Le Galle, PETA U.K.’s digital marketing assistant, in a blog post. Appealing to animal lovers and the fashion-forward alike, the new satchel retails at $155 and ships for free. 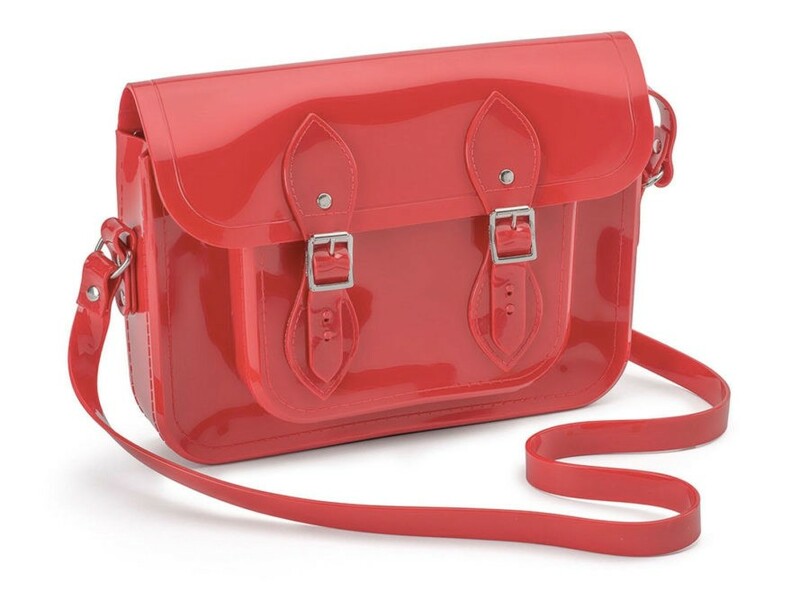 Melissa x Cambridge Satchel Co.
Britain's Cambridge Satchel Co. has teamed up with the good folks at Melissa to create a cruelty-free version of the former's signature cross-body carryall, which is typically rendered in leather. Composed of Melissa's PVC-esque Melflex material, which the Brazilian company says is weatherproof, hypoallergenic, and completely recyclable, the 11-inch satchel comes in black, fire-engine red, and a limited-edition "holographic" edition. Each bag also features Melissa's distinctive bubblegum scent. 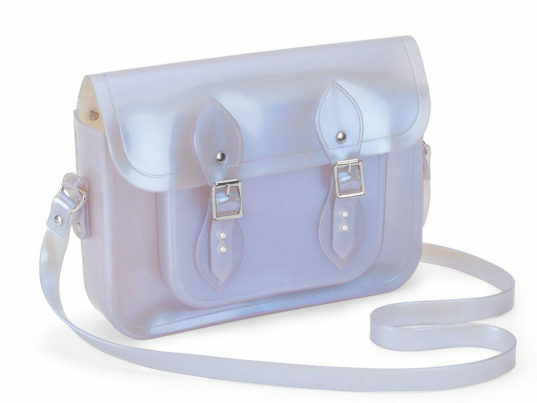 "A collaboration needs two strong partners with unique design elements; taking our timeless shape and mixing it with Melissa's iconic raw material makes perfect sense," Julie Deane, CEO of the Cambridge Satchel Co., said in a statement. "We are also happy that this partnership offers a vegan alternative to our customers. Moreover, the PVC used is recyclable [and] 99 percent of the factory's industrial waste is recycled."